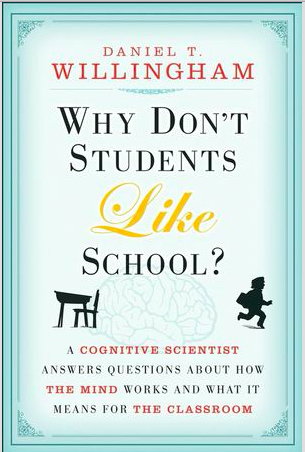 I’ve just finished the book Why don’t students like school recommended in the Guardian. Here’s what I gleaned that we will be using at Dave and Amy English School, with my kids soccer training and in my quest to learn music and Japanese! "We all inevitably lose the attention of our students." As this chapter described, it's likely to happen if they feel somewhat confused. Students will mentally check out. The good news is that it's relatively easy to get them back. Change grabs attention. When there's a bang outside your classroom, every head turns to the windows. When you change topics, start a new activity, or in some other way show that you are shifting gears, virtually every student's attention will come back to you, and you will have a new chance to engage them. So plan shifts and monitor your class's attention to see whether you need to make them more often or less frequently." 2. Be nice and organized. "A final point.The purpose of watching your partner teach is to help her reflect on her practice, to think about her teaching. You do that by describing what you see. Don't suggest what the teacher should do differently unless you are asked. You don't want to come off as thinking you have the answers. If your partner wants your ideas about how to address an issue, she'll ask you, in which case you should of course offer any ideas you have. But until you're asked, remain in the mode of a careful, supportive observer, and don't slip into the role of the expert fixer, regardless of how confident you are that you have a good solution." "Failure Is a Natural Part of Learning"
After my first summer of water skiing as a teen, I told my older brother, "I might not go skiing again next summer. It's gotten kind of boring. It's too easy now. I almost never fall down." He said, "Alan, you just go straight behind the boat. You're supposed to cut in and out of the wake as fast as you can." And then he spoke the words that I still remember now, fifty years later: "Alan," he said, "if you never fall down, you're not trying hard enough." I like that. If you never fall down, you're not trying hard enough. I'll remember that also.